Individual should be able to work on development for a module or a significant feature. Ability to work on problems of diverse scope where good analytical skills are required. Responsible for working to set and meet reasonable delivery dates per project. .NET 3.5, C#, SQL Server 2005/2008,WCF, WPF or silverlight. 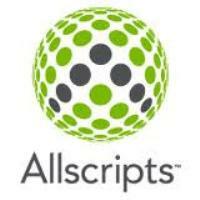 Allscripts is a leading provider of Healthcare IT, listed at the NASDAQ stock exchange and headquartered in the United States. Having about 6000 employees across the globe, Allscripts has over 1600 people in India working at three of its offices in Pune, Bangalore and Pune. Allscripts offers an open, integrated portfolio of healthcare information technology solutions for hospitals, physician practices and post-acute organizations. Its vision of a connected community of health, guides Allscripts deliver an integrated platform of clinical, financial, connectivity and information solutions to facilitate collaboration and exchange of critical patient information.